2018 has been an eventful, memorable, shocking and surprising year in the world of cricket. The year started with the 'Sandpaper-gate' scandal that shook the world of cricket which left three players being banned from international cricket for a considerable period of time. That incident has left Australia having to win the trust and the respect of the cricketing fraternity all over again. India's rise as a test team overseas has been very evident. From their fighting performances in hostile conditions in South Africa and England to them ending the year with a phenomenal win at the MCG, they had an eventful year. And the exponential rise of their fast bowlers Mohammed Shami, Jasprit Bumrah and Ishant Sharma has made this side even more formidable. And of course how can we forget the individual brilliance and the rise in stature of players like Virat Kohli, Joe Root, Babar Azam and Kane Williamson who have gone on to enthrall audiences wherever they played along with contributing to their team's success across formats and in different conditions. 2018, like any other year had it's fair share of excitement, thrill and some shocking and sad moments too. The retirements of many loved, respected cricketers from different countries during the course of the year has and will continue to leave a void in cricket. Although some retirements were expected to happen, still cricketing fans across the globe will take some time to get over the fact that some cricketers will never play international cricket ever again. Here are the 5 biggest retirements of the year in the world of cricket. 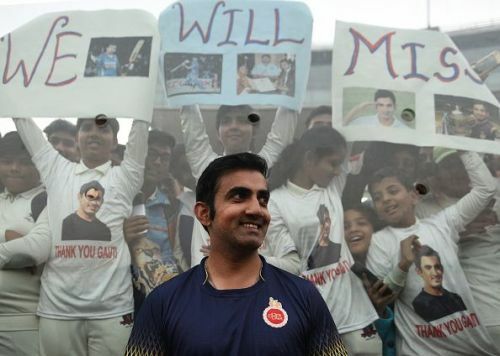 After sitting out of the national team for over two years – he last played a Test in 2016 against England at Rajkot – Gautam Gambhir announced his retirement from all formats of the game on December 4, 2018. The two-time World Cup-winning champion’s most notable knocks were the 97 off 122 that came in the 2011 World Cup final against Sri Lanka and, in 2007, he top-scored for India with a 54-ball 75 in the final of the inaugural ICC World T20. His brilliant batting performance in hostile, tough conditions at Hamilton to bat out a day against New Zealand to secure a draw for his side will also be fondly remembered. Gambhir finished as highest run-getter of the tournament. The Delhi batsman also led Indian Premier League franchise Kolkata Knight Riders to two titles – in 2012 and 2014. His retirement left many ardent KKR fans in shock and disbelief as their favorite captain and someone who they respect a lot could have possibly come back to KKR if he was available.